Prairie Sky Cohousing has been featured in a number of newspaper, magazine, television, and radio articles over the years. Jan, 2017: A folly in ice. Thanks Swerve for great writing! Jan, 2017: CBC Media follows up on the Icy times in Cohousing. CBC’s James Wilt · February 28, 2016. 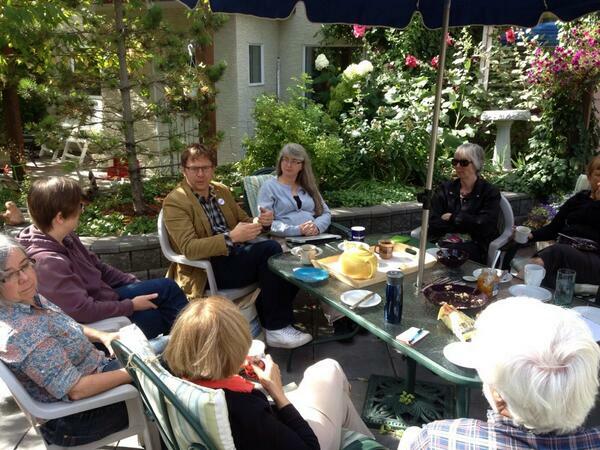 Cohousing Solutions for Housing Problems in Calgary? Mar 8, 2014. Pour nos voisins francophones. Nous sommes mentionnés à la fin de cet article, Vivre Avec ses Voisins. Calgary Herald February 2002. ‘A Village of Their Own” by Valerie Berenyi (now, unfortunately, only accessible through Tapeebook.org). Not our idea. 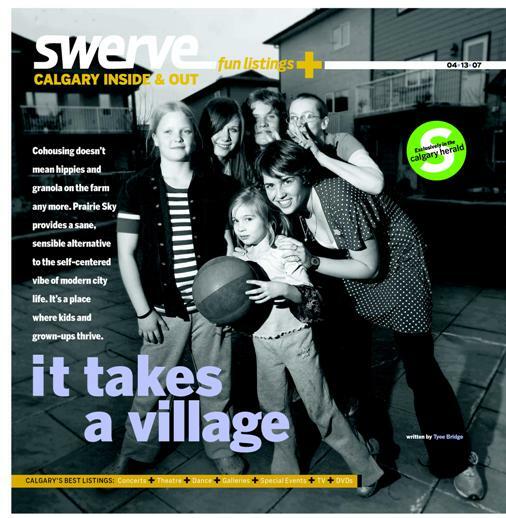 Our efforts at sustainable living were featured in a brochure distributed by the City of Calgary in October 2007.